An easy to do dessert that's cost effective and enjoyed by all. 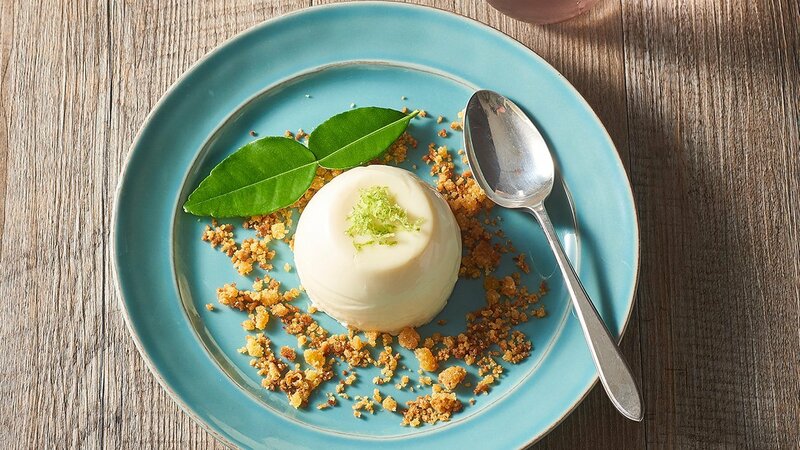 Infuse the Panacotta with lime and ginger to give it a fresh taste. Place Milk in a saucepan with KNORR Lime Powder, KNORR Professional Ginger Puree and Star anise and bring mix to the boil. Remove from heat and add in cream, strain mix then immediately whisk in CARTE D'OR Pannacotta Dessert Mix. Portion into desired moulds and refrigerate for a minimum three hours. Once set, run a sharp knife around edges of the dessert to help separate from the mould.